After all that exam reading, you may have noticed that my recent posts have been about much lighter reads. Well, that’s the way it goes with me — I read a bunch of stuff for school, and I end up having to give myself a break by reading books that are quick and fun (and remind me of why I like reading so much). 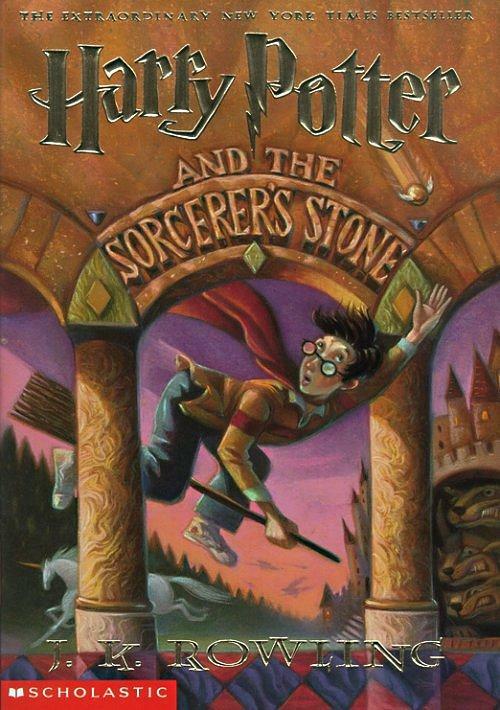 So it should come as no surprise to anyone who knows me that I’ve decided to reread the wonderful Harry Potter series.It’s been at least half a decade since the last time I read Harry Potter and the Scorcerer’s Stone, and I can honestly say that it was no less delightful than I remembered it being. The characters are so much more intelligent in the books than they are in the movies (Hagrid can spell “Happy Birthday” properly, Harry is able to figure things out by making observations rather than asking Hermione to explain, and Ron makes several very intelligent inferences entirely on his own), and their relationships with each other are much deeper. I’ve been subsisting off of the movies for far too long (although I do love those as well), and it was somewhat surprising to me that these characters were as intelligent and complex as they were. Of course, now that I’ve read (and watched) the rest of the series, I can say that it’s really interesting to watch the development of certain events and characters. For instance, Snape is much more complex than I previously gave him credit for. I initially read him as most-likely-evil, although hopefully-and-probably-not (I was pretty much the only person arguing in his favor before his final vindication in Harry Potter and the Deathly Hallows), so now that I’m reading the books with a clear knowledge of his history and his role, I am able to see that Rowling was very careful about the details she included…even early on in this first book.In any case, I’ll admit that the one aspect of these books that I’m always disappointed by is that they are so easy and fun to read that I start to get impressed by my own reading speed…only to be disappointed when I pick up a “normal” book and find that I don’t actually read 80-100 pages an hour, but more like 50-60. Boo! Yet it’s evidence of some of the real-life magic Rowling works on her readers.